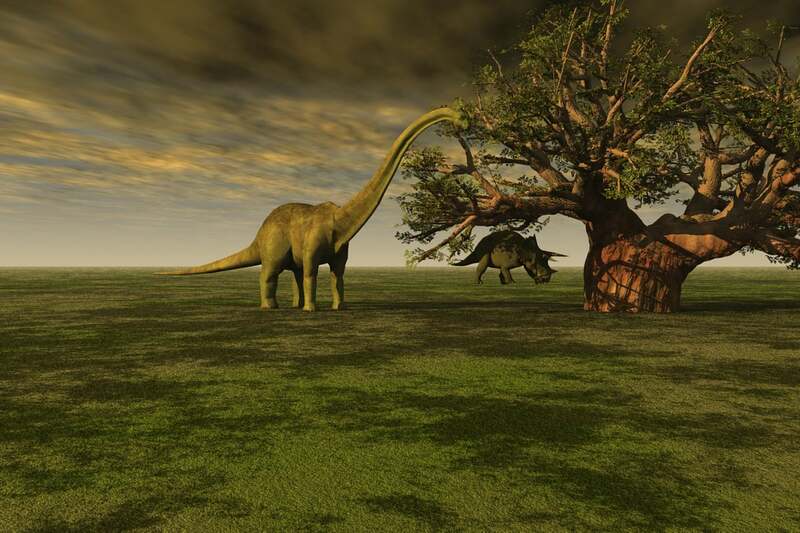 Researchers have examined fossilized freshwater fish, trees and other marine fossils found at a site in North Dakota, and their findings are believed to be related to dinosaur extinction. They say the fossils were discovered not far from what appear to be the remains of the asteroid strike believed to have wiped out the dinosaurs. Researchers believe the fish and trees were killed by a tsunami which resulted from seismic waves triggered by the asteroid. While exploring the Western Interior Seaway at Tanis, N.D., University of Kansas PhD student Robert DePalma discovered a mix of fossils he believes to be related to dinosaur extinction. He believes the fossils were cast away as a result of tsunamis caused by the Chicxulub asteroid strike. According to the BBC, DePalma believes the water came from the Gulf of Mexico but that another type of standing wave called a seiche directed it into the seaway. The team’s findings will be published today in the Proceedings Of the National Academy of Science. According to a statement, DePalma said half of the fossilized freshwater fish at Tanis contained tiny drops of glass typically associated with large asteroid strikes. Additionally, the fossils are coated in a high concentration of iridium, a metal greatly associated with asteroid impacts due to its worldwide distribution. “Timing of the incoming ejecta spherules matched the calculated arrival times of seismic waves from the impact, suggesting that the impact could very well have triggered the surge,” DePalma said in a statement. “The sedimentation happened so quickly everything is preserved in three dimensions — they’re not crushed… We have one fish that hit a tree and was broken in half,” study co-author David Burnham added. The discovery of the fossilized freshwater fish and other marine fossils doesn’t just shed life on dinosaur extinction. The Hell Creek formation seems to have held fish species which were previously unknown to scientists. Researchers around the world have long debated what could really have wiped out the dinosaurs. While the vast majority of scientists suggest the dinosaurs were wiped out by a gigantic asteroid that hit Earth, some geologists and paleontologists believe extinction resulted from an enormous volcanic eruption, according to another study, or poisonous flowers that started to blossom at that time. The researchers who believe a volcanic eruption was responsible for the mass extinction attribute the significant climate change to their death, saying the world’s climate has been changing over hundreds of thousands of years, according to another study. They added that the absence of dinosaur fossils on rocks below the asteroid debris suggests dinosaurs were long gone by then. The same research spot revealed a triceratops and a hardrousaur, and while neither of those deaths are believed to have been associated with the asteroid impact, the authors of the study believe the fossil presence etched in rocks of a similar age indicates that they were alive just before the asteroid hit.